You are welcome to order costumes in our firm. We accept orders both from Poland and from abroad. If you are interested in ordering our products or in obtaining pricing information, please contact us by email or phone. 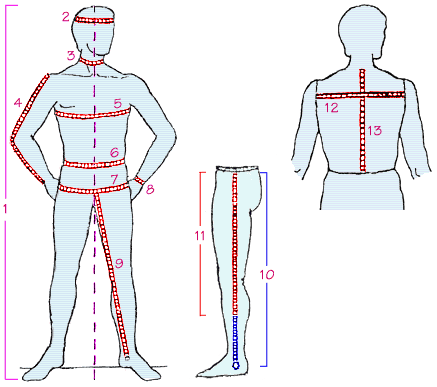 Be sure to provide the appropriate measurements for each costume. In case you have decided to order, send us also your exact address and phone number. After all details of the order have been settled, we make the costumes and then ship them by EMS Pocztex, Air Mail, or other. The shipment is paid by the customer. When ordering or referring to specific costumes or pieces from our catalogue, please give us the number of picture - the one in the bottom right corner of the window containing the picture. 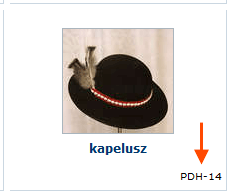 For example: "PDH-14" is the number of the hat from Podhale. Thank you. Typically, we make costumes from Kraków, the sukiennickie, Tyniec and Bronowice types, in all sizes for men and women. Therefore, most often we are able to make these costumes quite quickly. Other costumes are made to order only and the waiting time for them depends on quantity, region and complexity of the costumes (e.g. the number of embroideries), therefore it is necessary to contact us in order to receive more detailed information. For orders of very rare costumes or those that we haven't produced so far this period may be longest. We accept payments through transfer into our bank account or on-line with a credit card. In some countries outside the European Union it can be required payments of the customs duty for the importation. We do not know local rates of these charges. These charges are independent from us. You can ask questions in the local customhouse. We accept all additional requests and comments of a customer about the costumes he or she wants to order. We are also ready to offer help and give advice in making the final decision. Moreover, we give warranty for the costumes that we make.